I’m a 5th generation DFW resident who loves the blues. My great-great grandfather settled here in about 1842 and had a land grant just south of John Neely Bryan. I first became aware of blues back in the 60’s through the radio, mainly Kat’s Karavan on WRR and late night on KLIF. 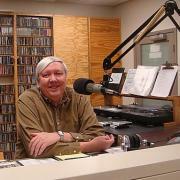 Later on I enjoyed it on KNOK and the early days of FM radio on KFAD and KZEW. That’s how I first heard of Freddie King. The first club I ever went to was a little bar down on Lemmon Avenue called Gertie’s Hard Rock Cafe, about 1972. I got to hear Freddie tear it up in front of about 6 customers that night and I’ve been hooked on live music ever since. Later on I spent many nights in the old Mother Blues on Rawlins Street. During college, I spent one year down in Austin where I spent too many nights in the Armadillo World Headquarters. Too many for my GPA, so I came back to DFW to finish up school. Back in Dallas, there was a cool radio station just starting up called KCHU. They had some wild and wooly programs that I just loved. Several of them played lots of blues, including Trish the Dish, Jim Yanaway, and Robert Wisdom. 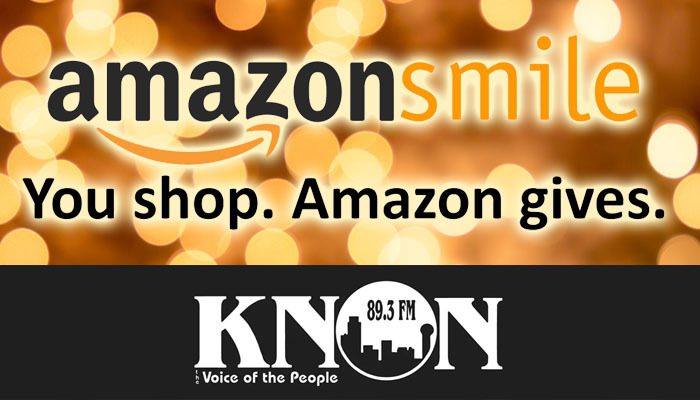 KCHU was a lot like KNON, in that it was a community sponsored station supported by the listeners. I was a broke-assed college student, but I still sent in my pledges, whenever I could afford to. Unfortunately, KCHU ran out of money and went off the air when they had some major equipment problems. It was a sad day and things only got worse as commercial radio in DFW jumped on the disco bandwagon. While in college at UT Arlington, one of my buddies was married to a lady from Chicago, named Joan, who also happened to be into blues. We spent a lot of nights hanging at each others house, her playing Chicago blues for me, me playing Texas blues for her. We both hated commercial radio and swore that if that KCHU ever came back, we’d go down and sweep floors, rob, steal, kill, whatever it took to get good blues music on the radio in DFW again. One day in 1983, Joan called me at work and told me KCHU was back, only now it was called KNON. She had a friend who had just landed a show and they were looking for people to apply as new programmers. We applied and ended up with a Wednesday evening show from 5 to 7 pm, which we called The Best of the Blues. We did our first show at the end of August in 1983, which was about a month after KNON signed on the air. 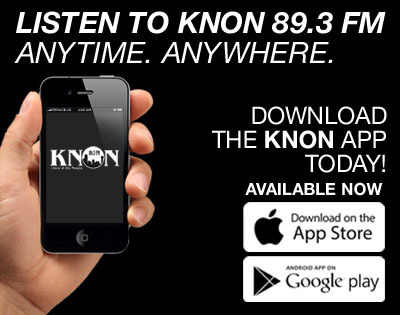 KNON had bad transmitter problems at the end of 1983 and the station was off the air for several weeks. When we came back on, the station management decided to move our show to Friday nights from 9-11 pm. That was our time slot for a long time after. In 1985, I got the idea of doing an all Freddie King show on the Friday closest to his birthday. Something I have continued every year since. For a couple of years, Joan and I did the show together. She did a set of music, then I’d do a set. Eventually we wised up and started doing the show every other week. She’d do one Friday, I’d do the next, and we’d both work pledge drive shows. Around 1988, Joan had her first child and her husband didn’t feel too comfortable about her coming down to dangerous San Jacinto Street by herself, anymore. After that, I was on my own. I’ve lost touch with Joan and her husband, Jack, and haven’t talked to them in many years. Last I heard they were living in Alaska. For many years our blues shows were scattered around the clock. We had blues on Monday morning, late night Thursday night, and pretty consistently, a blue Monday block that ran from 9-4 am. It was a hodge podge crazy quilt schedule, but despite that, our blues programming did very well on pledge drive. After many years of lobbying the station management, we finally succeeded in getting a solid weekly block of blues programming from 6 to 8 pm in 1998. We adopted the name Texas Blues Radio and that’s where we are today. Looking back now after all these years of playing blues on KNON it has been a wonderful learning experience and a lot of fun. Seeing so many DFW blues musicians get their start, grow, and become famous, partly because of KNON, has been very satisfying. The best part of all has been the many friends I have made, both at the station, and listeners, who I never would have met otherwise. I’m looking forward to many more years of blues on KNON!